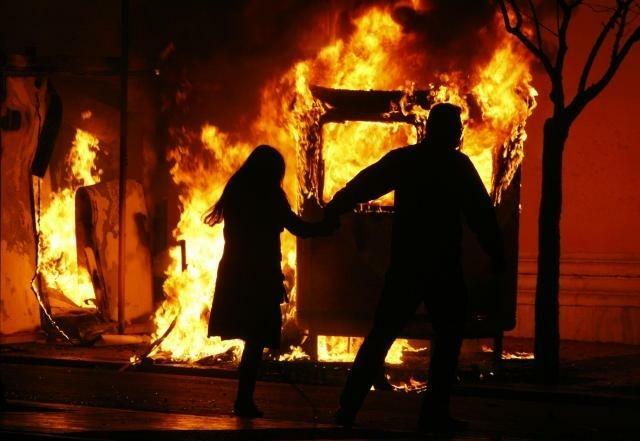 UNITED NATIONS, December 9 -- As the death of a 15 year old boy, shot by Athens police, has triggered four days riots throughout Greece, the UN on Tuesday still had no comment. Similar or lessen incidents elsewhere garner formal statements by the UN's Ban Ki-moon or his spokesperson Michele Montas. Is the silence in this case explained by the political power of Greece compared, for example, to Nigeria or Guinea Bissau? Or rather is it Greece's unimportance? This latter theory appears to be supported by another answer on Tuesday, that the UN has not received or processed a letter the Turkish Cypriot leader Talat says he send to Ban Ki-moon. Such letters appear to get lost. How else to explain the Secretary General's upbeat, some say saccharine, last report on Cyprus, compared to the threats of naval confrontation over oil exploration. Ban's report admonishes the two leaders in Cyprus not to negotiate through the press. Does this mean not answering questions? If so, it can be said to be catching. Inner City Press: it’s reported that the Turkish Cypriot leader, [Mehmet Ali] Talat, wrote a letter to the Secretary-General, I guess responding to what Cyprus had written making other points. Has it been received and is Ban Ki-moon, does he have a response to it? Spokesperson Montas: Well, it would go first, as you know, to our Special Envoy dealing with the issue of Cyprus. In terms of the Secretary-General receiving another letter, I can check for you whether the letter was received. Inner City Press: Okay, and does he have any either comment or (inaudible)...is there any UN response to the, in Greece, to the shooting and rioting that’s taking place in the last three days? Spokesperson: No, except that the Secretary-General has been following that issue quite closely. He has no comments on it at this point.